By CJC 1295 NO DAC 5MG at Peptides for Sale. For the best quality peptides and research chemicals, Peptides for Sale has what you need. Buy CJC 1295 no DAC online today at Peptides for Sale. CJC 1295 no DAC comes in a small sterile container containing 5mg of CJC 1295 no DAC. CJC-1295 is in the class of growth hormone releasing hormone (GHRH) mimetics. CJC-1295 is a modified version of the first 29 amino acids of GHRH, together with addition of a “Drug Affinity Complex” or DAC. The combination of modifications provides a half life of about 1 week, and furthermore steadies blood levels. 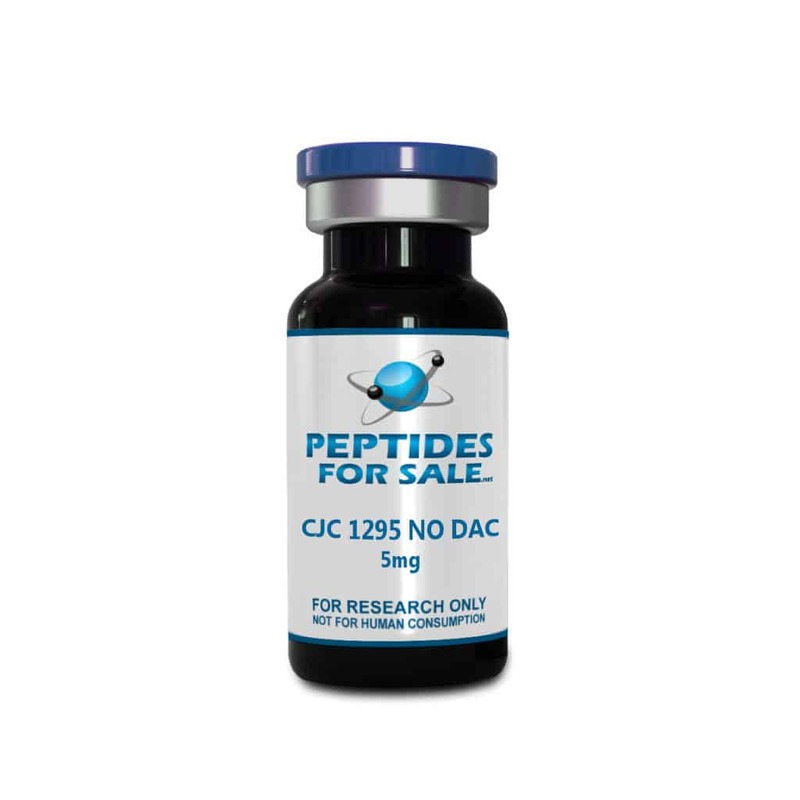 Visit Peptides for Sale to buy CJC 1295 no DAC and all other peptides. We bring you high-quality consistent, sterile products and furthermore, we and ship fast from the USA, so remember, Peptides for Sale is your #1 source for buying research chemicals and peptides online. Peptides for Sale thanks you in advance for your business and finally, please sign up for our email list so we can send coupon codes on seasonal sales and any other promotions we run for our valued customers. Free shipping on orders over $150. All orders ship from the USA. This product is a very potent chemical which is NOT for human use and can be harmful if ingested, as a result CJC 1295 no DAC is for research and laboratory use only.